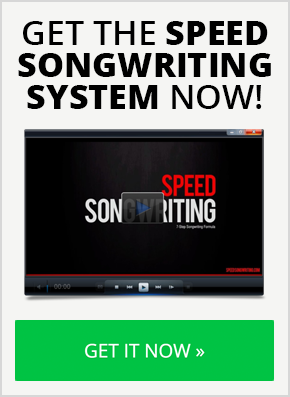 But if you struggle to finish songs, narrowing your choices will motivate you more. It’s been well-researched that when you have too many choices, you lose motivation. Offer students a choice of 6 essays, rather than 30 essays, for extra-credit and more will take up the opportunity if there is less choice of essay titles – and, what is more, they write better essays. If you have dozens of unfinished songs lying around, odds are that most of them won’t get finished. 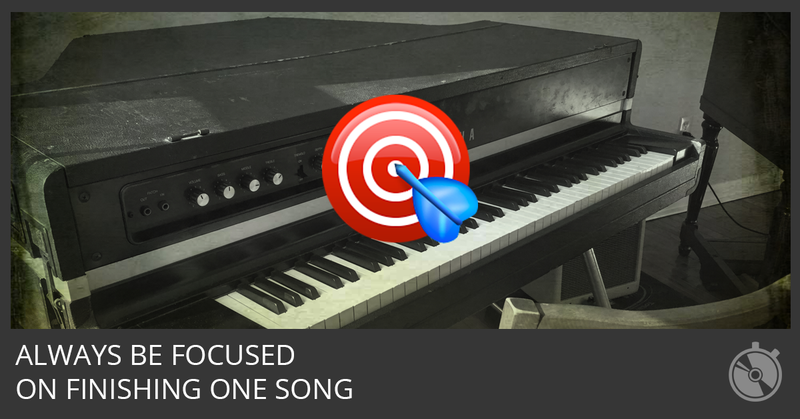 Always be focused on finishing one song. 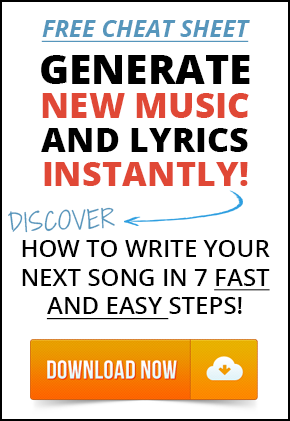 You don’t have to stop capturing new song ideas. But if you want to finish more songs, always have one song at the top of your list that takes priority. Keep this in mind, every behavior you repeat becomes a habit. Starting songs that you don’t finish is a bad habit to repeat. Finishing songs takes practice and focus. TWO WEEKS. NEVER KNEW IT COULD BE SO EASY. THANKS MUCH. With your help and guidance, I’ve written 16 songs in the last few months. 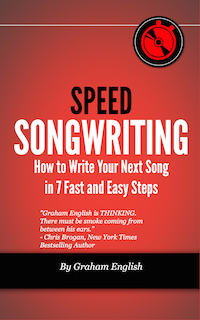 Your ‘finish the song’ advice is timely – I was juggling 6 ‘almost finished’ songs this weekend and getting very confused. I’ll focus on ‘one at a time’, especially for the next few days. Thanks and keep on Rockin’. I set myself a task of a song a day this year!! OK, I went down with man flu, so missed two days, but have so far written 25 songs and 2 acoustic instrumentals – One of the songs already pitched for an opportunity!